Designed by Gabriel Schade, the first Sinhalese types were first printed in Colombo in 1737 by the Dutch East India company. 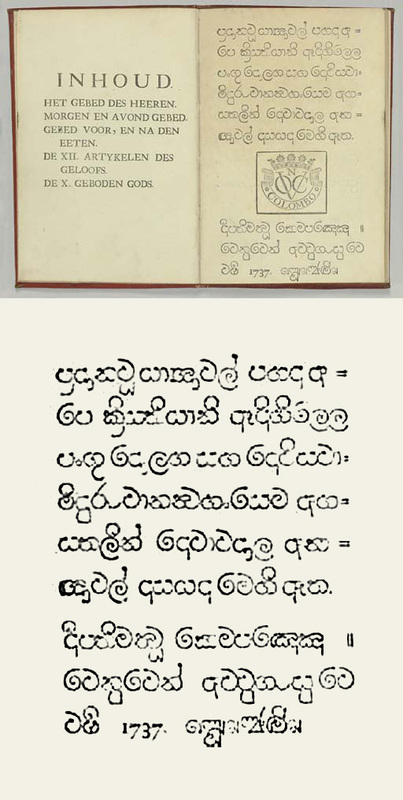 The book, Singaleesch Gebeede-Boek, is a Christian prayer book, and also the first book printed in Sri Lanka. More information from Christie’s and The Daily News. Top image from Christie’s, bottom is an altered enlargement.